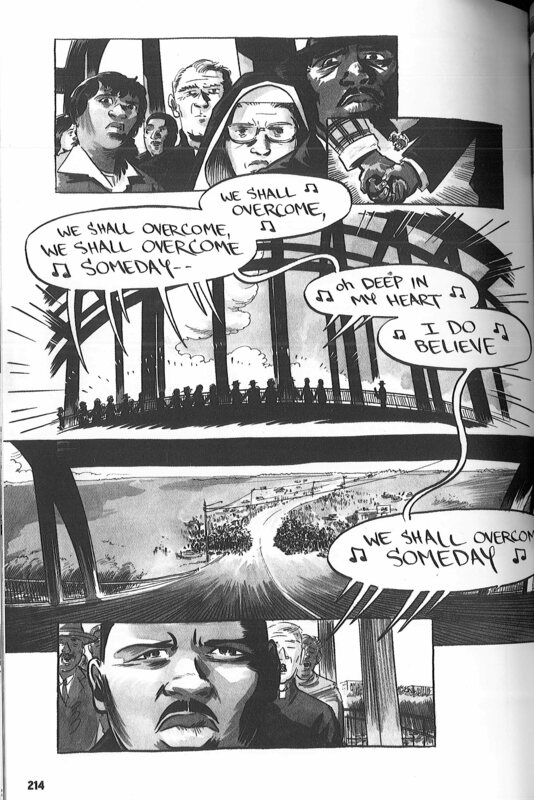 In the sweep of the whole “March” trilogy, Lewis recounts how he went from being a kid in rural Alabama who preached to his chickens, to chairing the Student Nonviolent Coordinating Committee (SNCC), to receiving the Medal of Freedom from Barack Obama in 2011. I reviewed Book One when it came out in 2013 and Book Two in 2015. 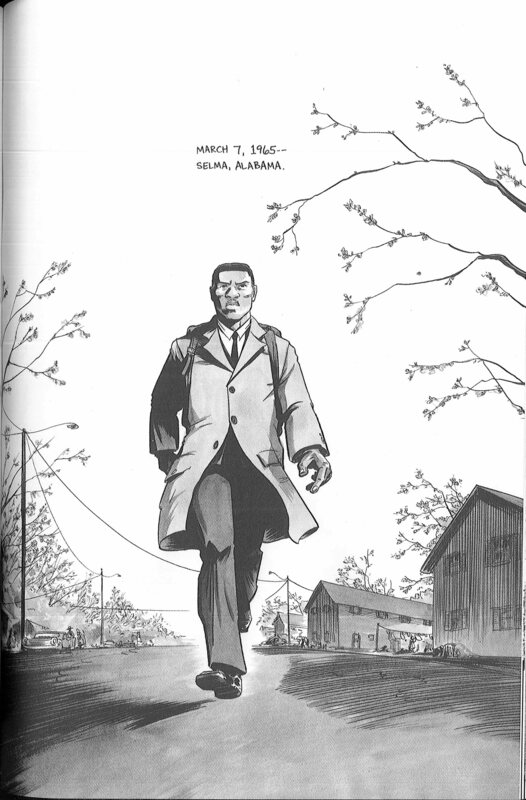 Book Three, which covers the fall of 1963 to Selma in the spring of 1965, wraps up the trilogy with beautiful and devastating power and grace. Book Three was released in August 2016, three months before the U.S. elected a president unashamed of either his own racist rhetoric, or that of his supporters. 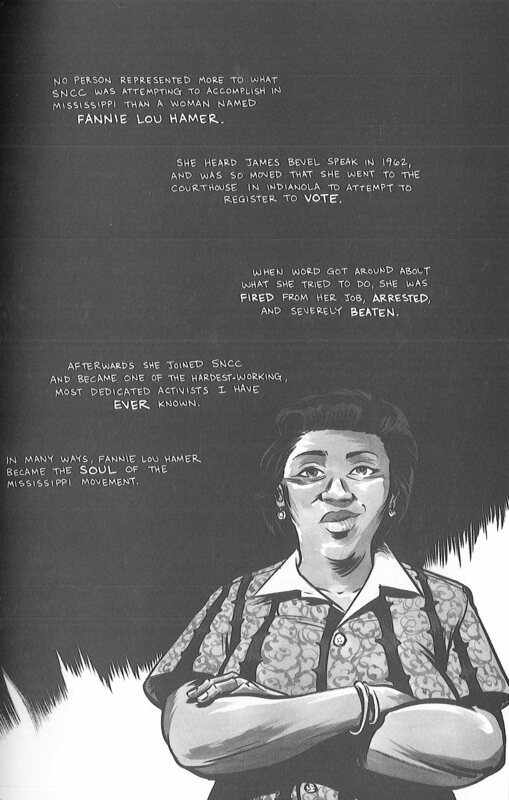 As if presaging our nation’s current grim chapter, this volume begins with the most horrifying moment of the Civil Rights struggle: September 15, 1963. The bombing of a Birmingham church—on Youth Day, no less—killed four girls and sent twenty-one more people, mostly kids, to the hospital. 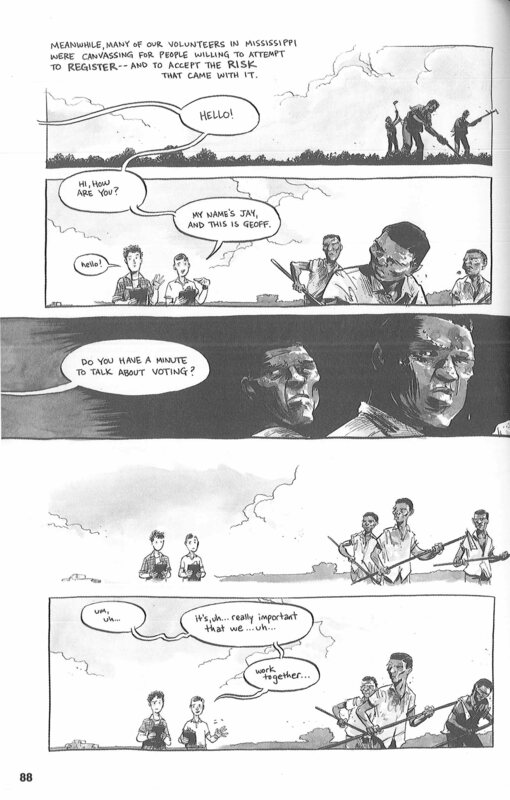 This is a famous chapter in Civil Rights history, but to see it playing out—to watch the mother running in panic to find her daughter Denise, met only by husband holding her daughter’s lone white shoe amidst the clearing smoke—well, I’m crying again as I write this, and again as I try to edit this description into something more poignant. Words fail here, but Powell’s illustrations won’t let you down. The Edmund Pettis Bridge is where Book One began, and also where Book Three draws to a close. 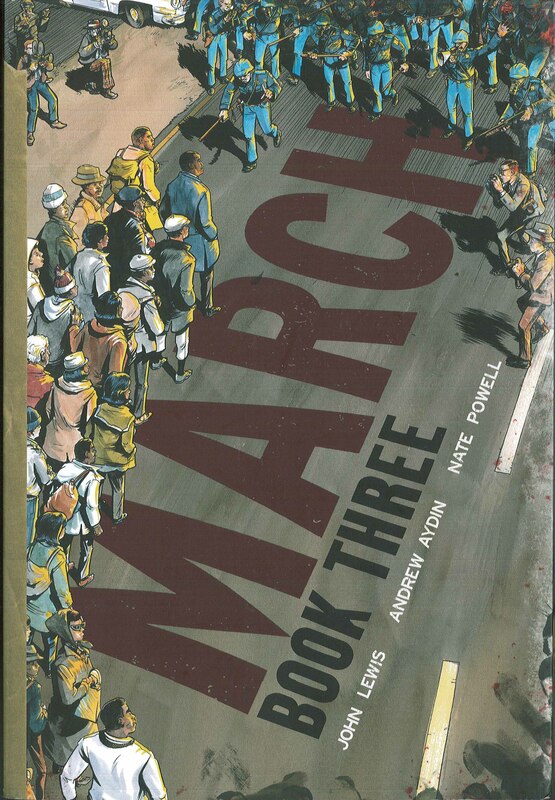 As challenging as conclusions can be, especially to a trilogy, Lewis and his co-author Andrew Aydin pull it off, looping readers who have been through the whole journey back around to the final, successful march from Selma to Montgomery.